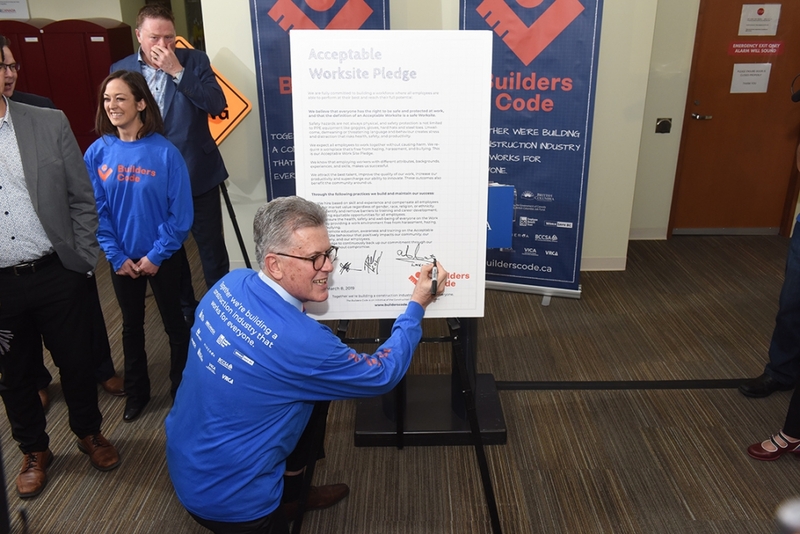 The Builders Code seeks to empower employers to explicitly define and expand their commitment to workforce safety and provide an Acceptable Worksite where every employee can work to their full potential. 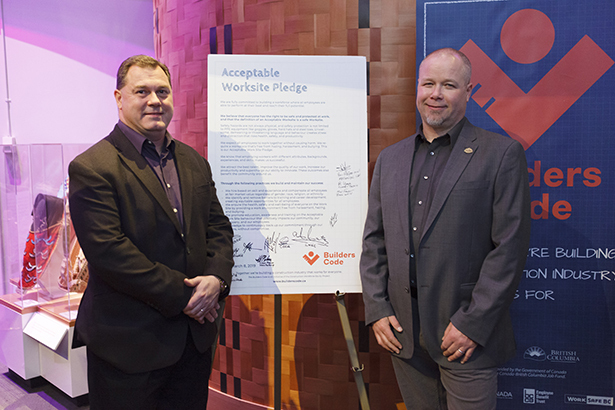 The following BC construction employers are proud signatories to the Builders Code Pledge. 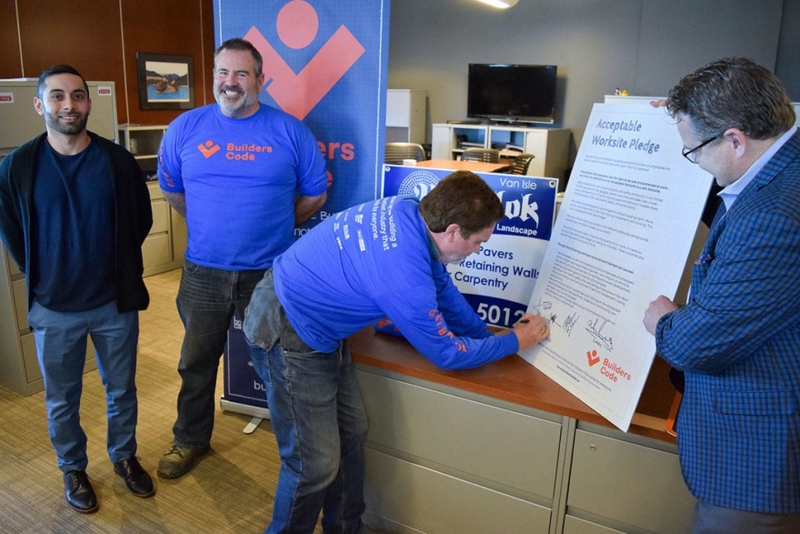 Jessi Dhanju (left), John Connors, Harold Bloomenthal and Chris Atchinson all sign an acceptable workplace pledge after the creation of the Builders Code Advisor role came together from the work of local and provincial partners. 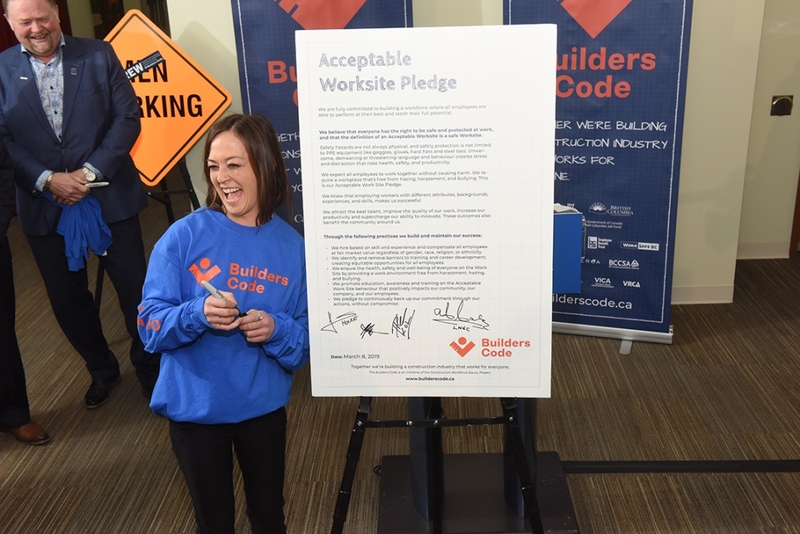 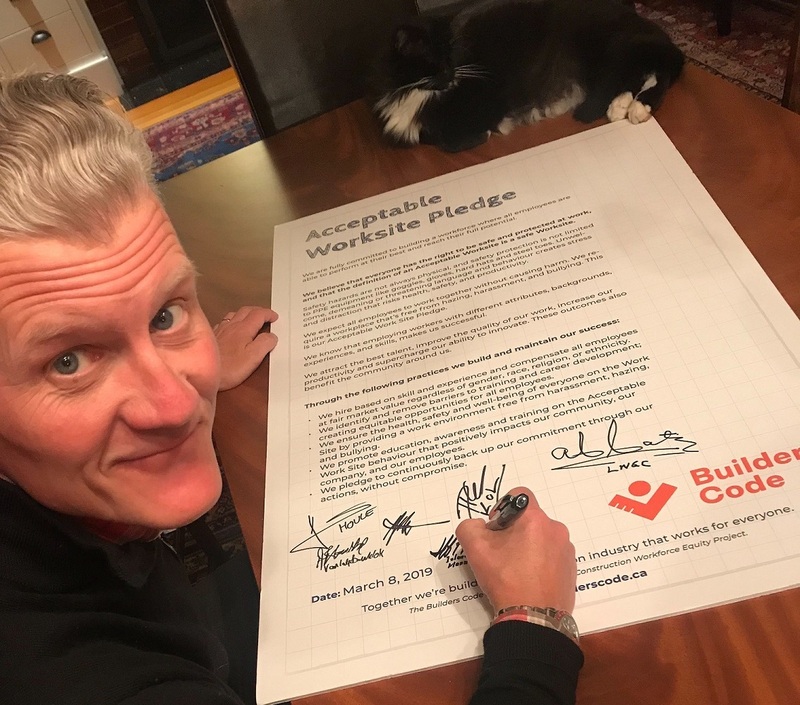 If you are a construction employer in BC who would like to become a Builders Code signatory, download and sign the pledge and get in touch.